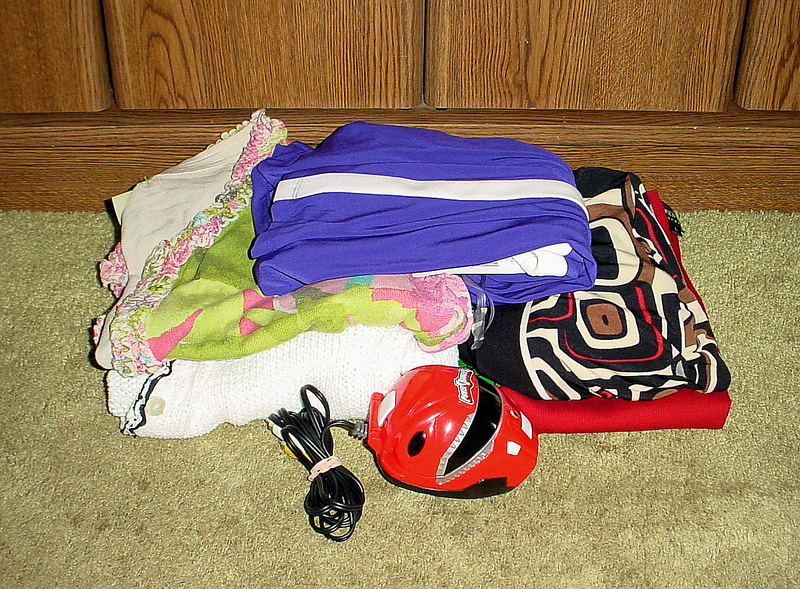 Over the last year, I have continued to work on the abundance of clothing in the house. for a total of 500 items. It’s been over a year since the last time I’ve had time to work on this blog although I have continued my attempts at decluttering. If I were to measure my progress by the height of the piles of clutter in the house, I’d have to say that I’ve had some good days and more not so good days. I’ve taken many pictures, unfortunately so many that it will take a while to sort all of them. but all is well now. We had birthdays the conventional way…. and with older friends who like their cake with wine in an olive jar. We welcomed a new nephew to the family. I can’t believe that this is my best Christmas picture (alcohol must have been involved). the crazy ceramic cat being my favorite this year. Thanks to Josh for the picture as 2015 ends. 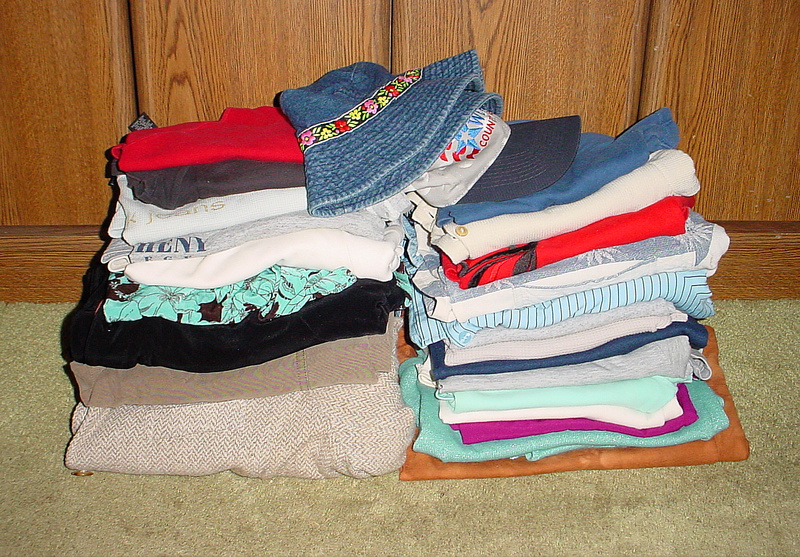 It’s been awhile since I made time to purge my piles of clothing but as I had a major relapse recently (something I’ll discuss in my next post), I had to do something to reverse the trend. Not bad but I have yet to count what came in. It’s time to catch up as I forgot to post this in September. Since the previous post, I brought home a dress, a top and a jacket. All black, the color that dominates my wardrobe. 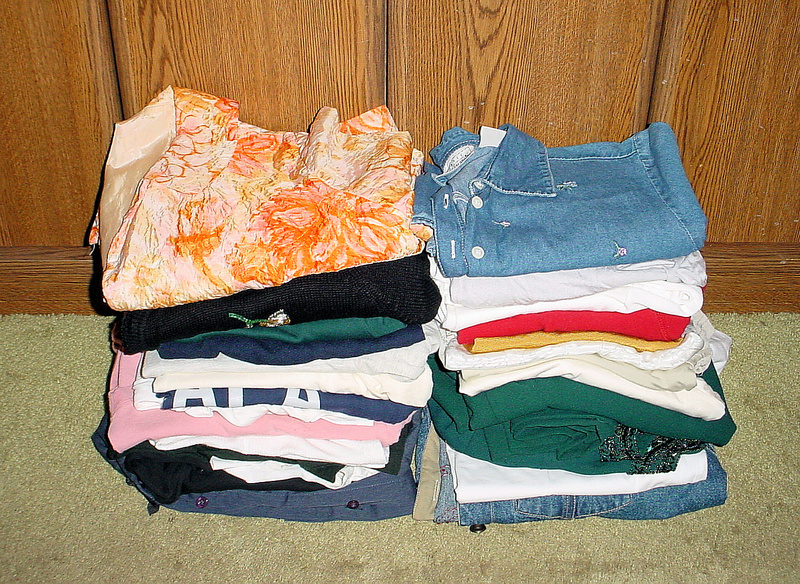 but three small piles to toss or donate. 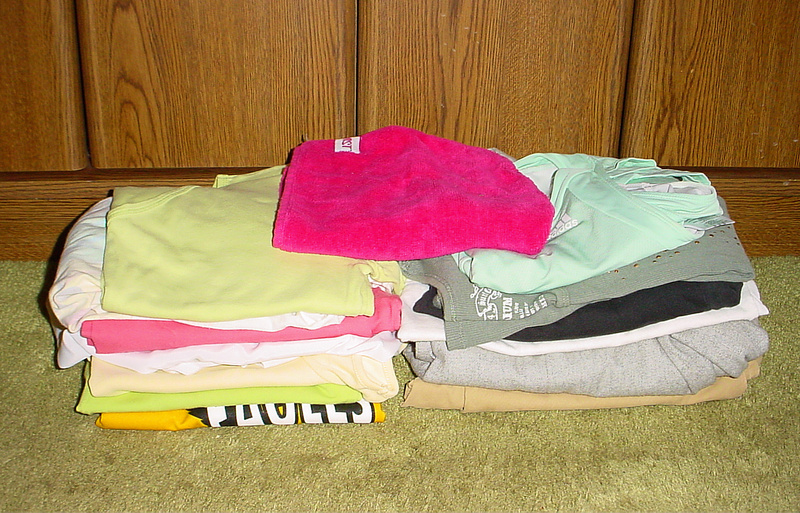 I finally took the time to sort clothing again. 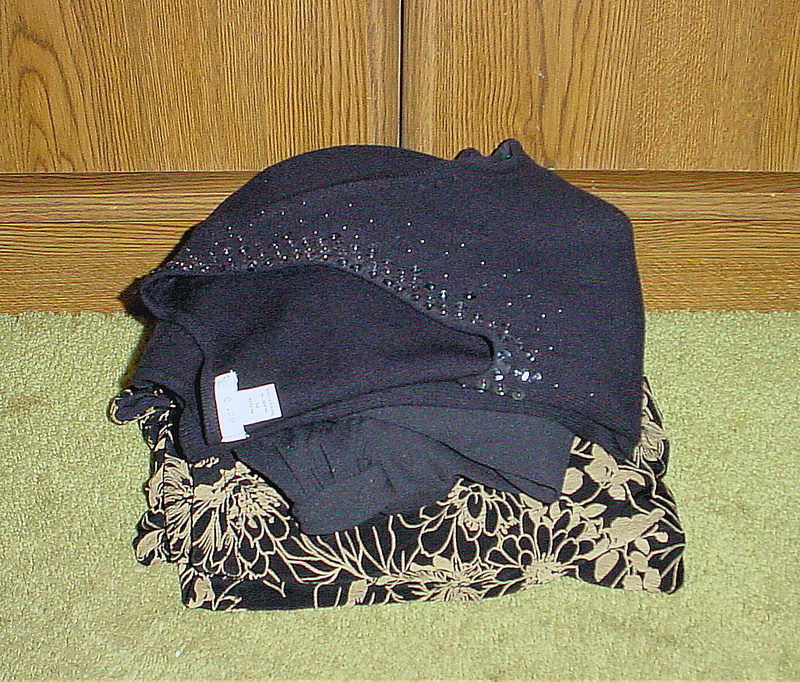 I wasn’t focused and it took me a while to create a small pile. I really wanted at least 20 items so to complete the task so I sorted my underwear drawer to finish the count. I wasn’t satisfied but I felt stuck. 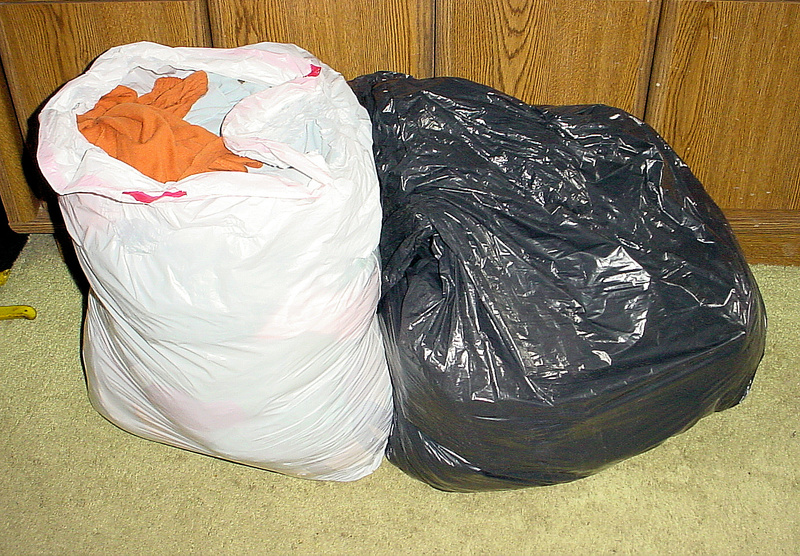 Then I remembered that I had 2 bags of clothing that Kat had left in my car shed. 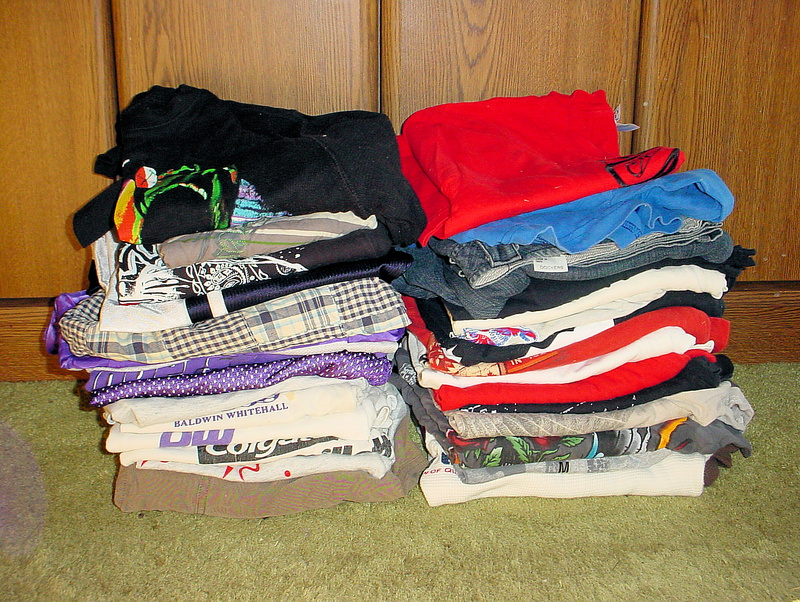 It was relatively easy to sort as it was mostly old t-shirts. I found 30 items that could be donated. I’ll finish the bags this weekend. 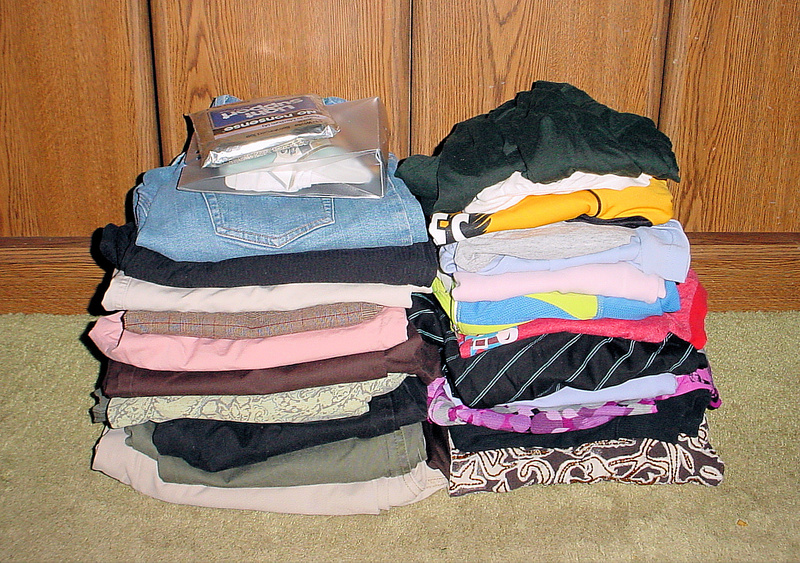 I am still working split weekends and I am having trouble concentrating on decluttering. I really don’t like the the one day off, one day on schedule. 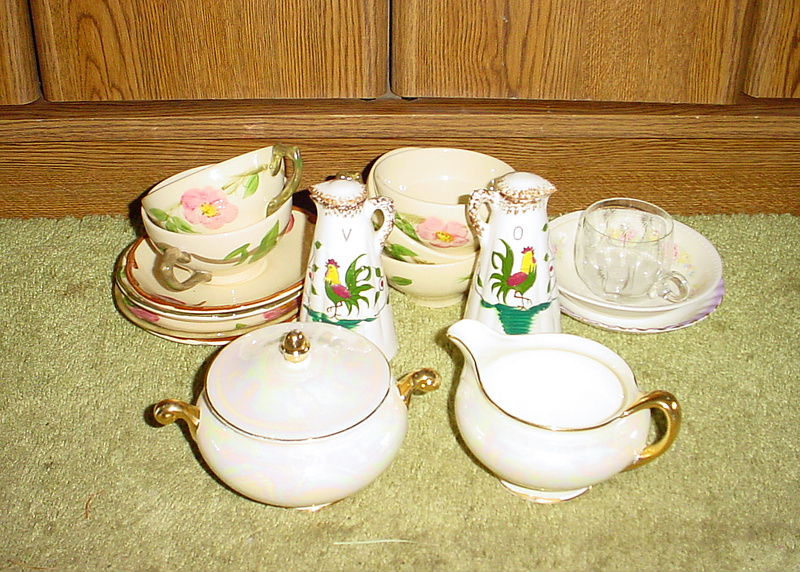 I’m working through all the ceramic items I have. 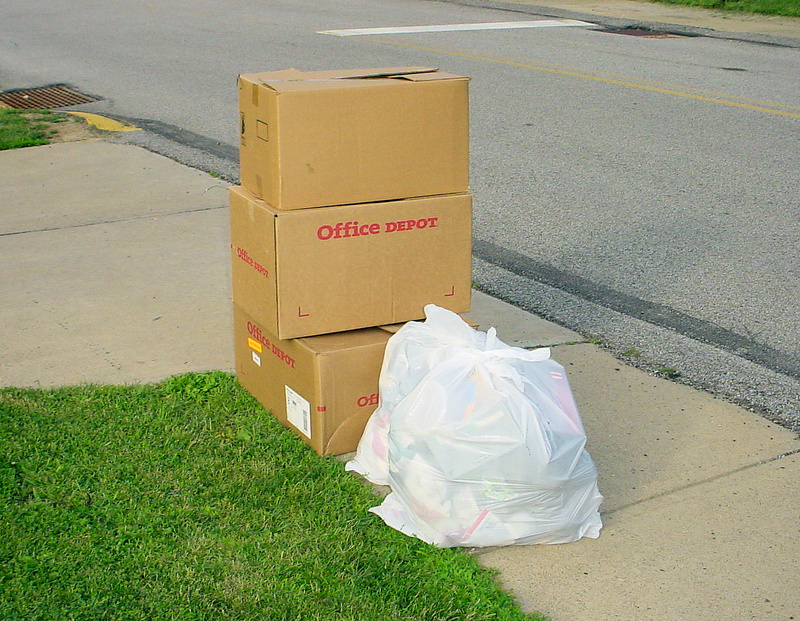 I managed to box up two small piles. I’ll be back to a normal weekend schedule soon and I hope that helps. There is very little to report currently. 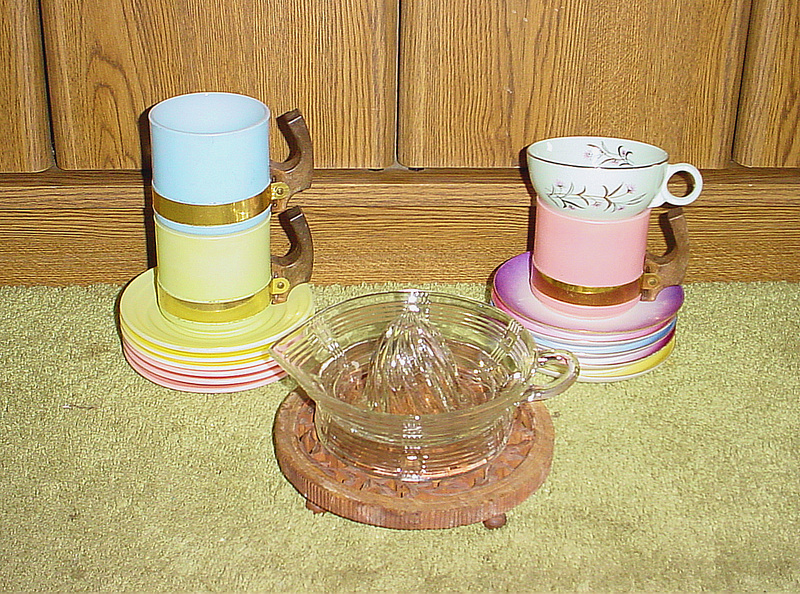 Whenever I have a chance, I’m sorting through dishware and knick-knacks and donating some of them. 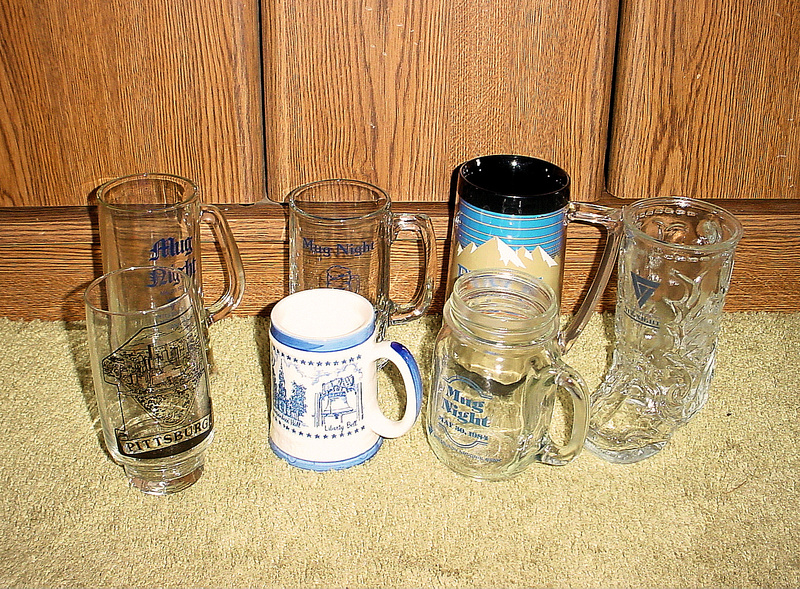 I have not brought anything home over the same time period which is a good sign. 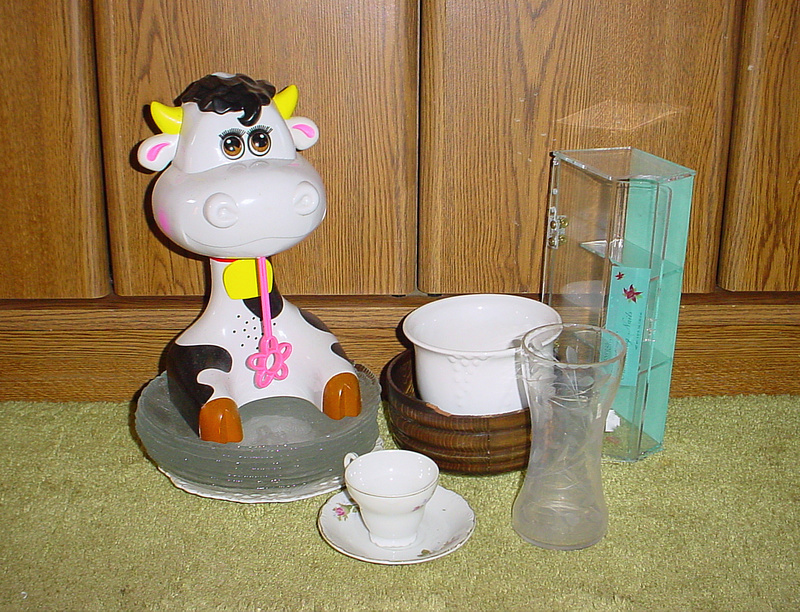 After many weeks avoiding the thrift store, Kat stopped by and pleaded with me to stop and see a corner curio that she was thinking of purchasing. And so I accompanied her to the store as she doesn’t need yet another curio and I knew it was time to visit the gang. 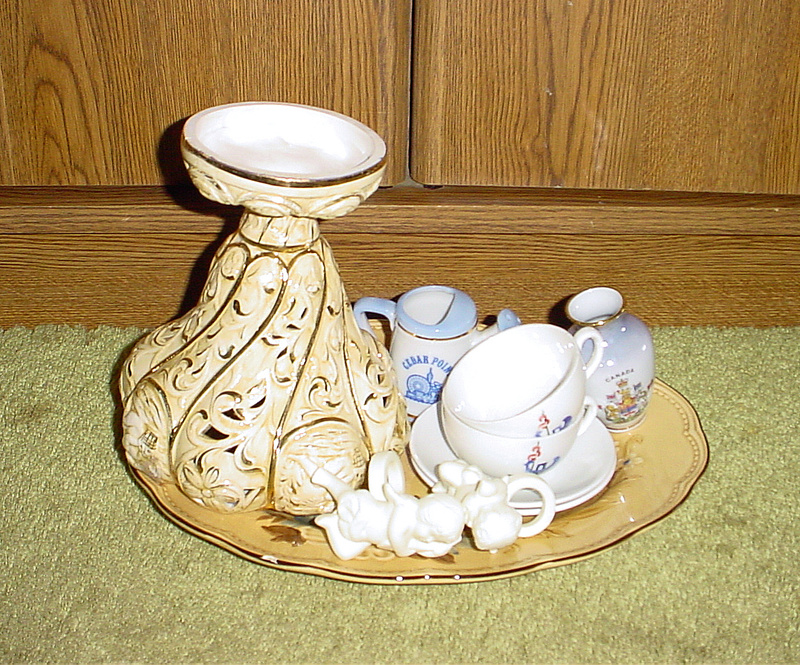 Luckily, the curio was much too small for her vast collections so she decided against the purchase. 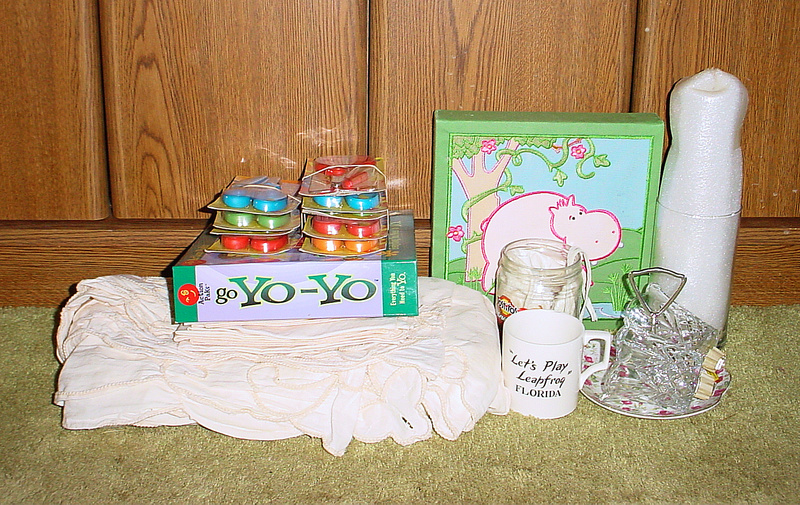 But I talked and shopped my way around the store and bought 4 items and as it was 99¢ day, I spent $4. That’s semi well behaved for me and I have already worn the crazy pink and green sweater twice. Additionally, Kat brought a power ranger game for Jaxon and I bought a Chaps dress online that I had been admiring for some time. 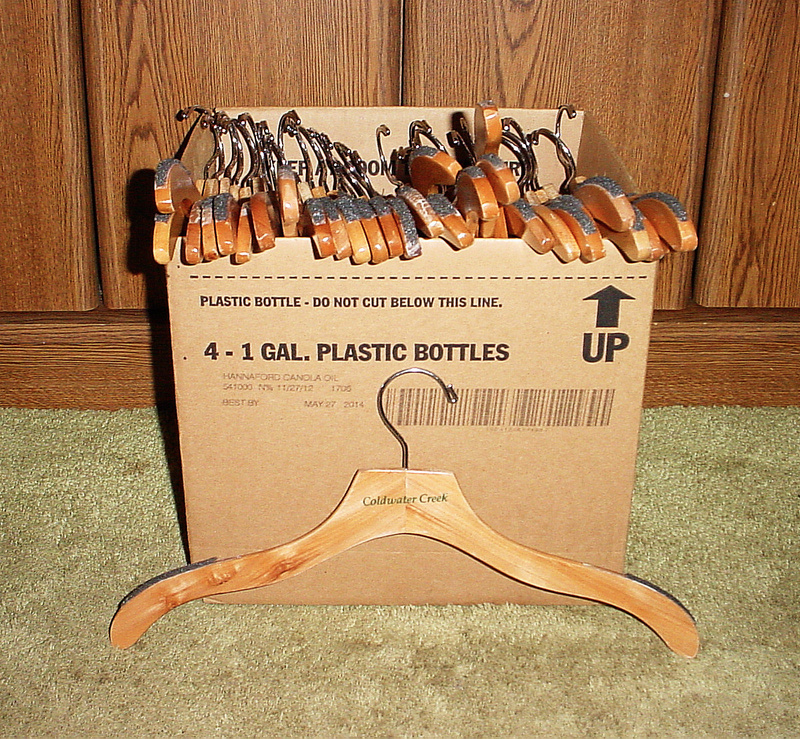 I made an unexpected trip to the store and noticed a Coldwater Creek store that was having its final day of its’ going out of business sale and bought over a box full of hangers for $1. I always need more hangers. 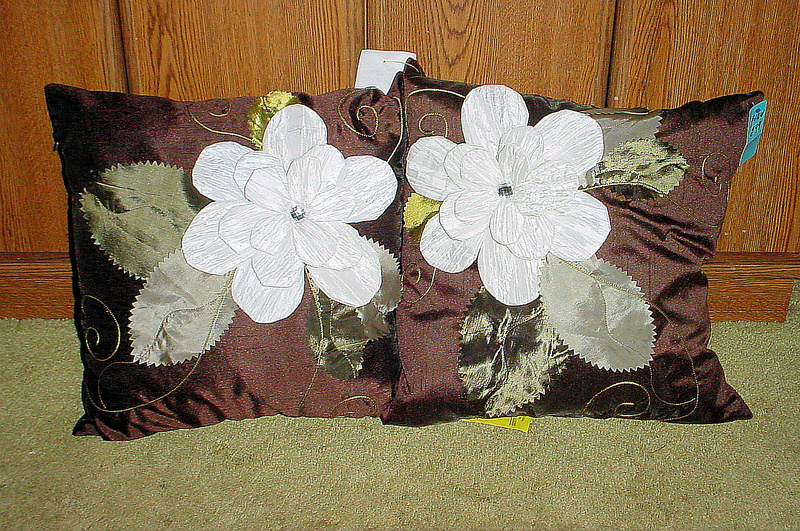 I’m still working on smaller areas around the house so much of my decluttering is still focused on various odds and ends…..
and pillows that I brought home for Kat what seems like a long time ago. They are a little over the top but she liked them and better yet, they are gone. 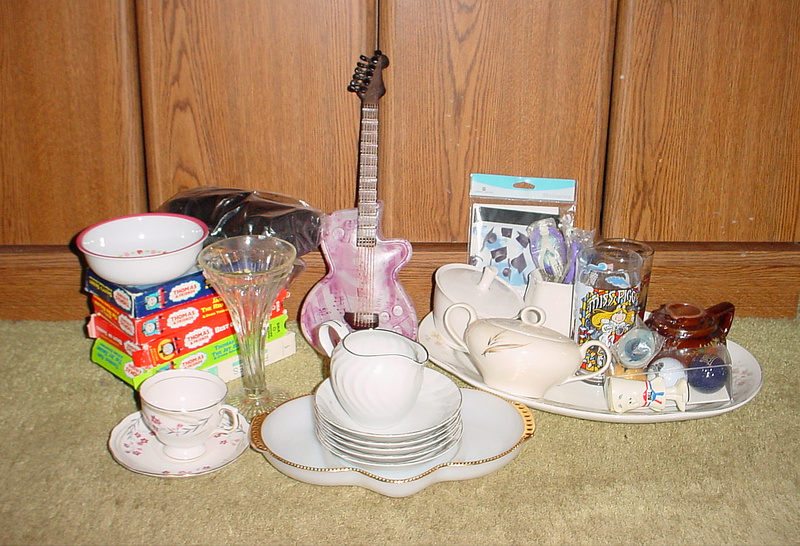 Last week, I donated dishware, few VHS tapes and a lamp (the guitar is the back center is a lamp I broke). The best news……I brought absolutely nothing home last week. AND I have managed to stay away from the corner store for a month. My sister Kat asked me to stop down on Saturday and although I wavered back and forth for a long time, eventually I refused. The girls at the store are asking for me and I have a graduation card to drop of for one of them so I can’t stay away forever. 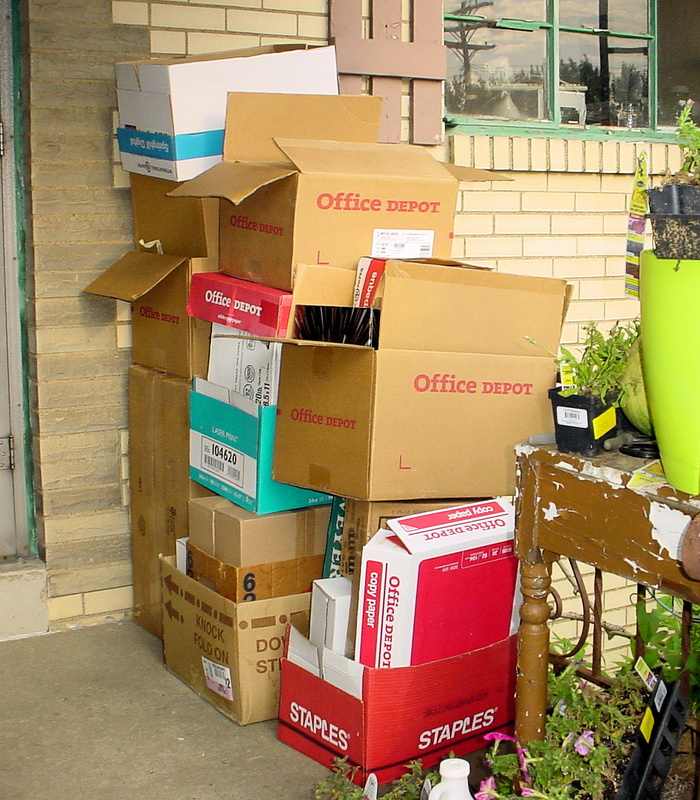 In addition to all the clutter in my home, I seem to collect a lot of empty boxes. 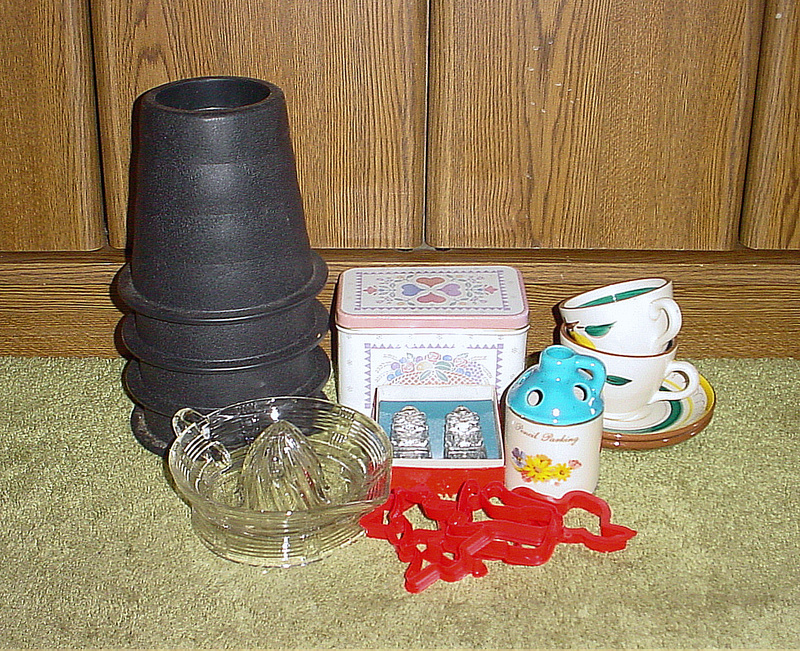 At one time, I needed boxes of all shapes and sizes as I was selling items online. When I took a break, I kept all the boxes. I don’t use them to store items because once I fill them, I forget what is in them, even if I mark a detailed description on the box. If I do use a box for storage, I take a picture of the items and tape it to the side of the box. 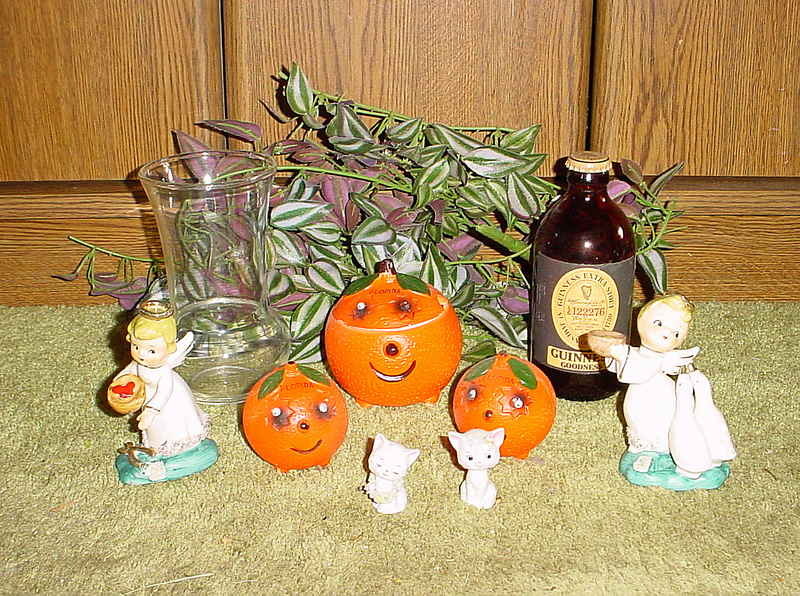 It works well for seasonal items. In the past, I’ve also kept the original boxes that items were packed in. Ollie the Octopus was one of them. I brought him out every summer for the nephews and neighbors to play with and stored him for the winter in the basement. Then one year, I lent him to the boys across the street while we were on vacation and forgot about him. One afternoon, I saw the boys playing with Ollie unsupervised in their front yard. How cute! I noticed that Ollie was missing an arm and another was twisted and no longer functioning properly but the kids were having fun. Not 20 minutes later, I heard rhythmic pounding and looked out to see one of the boys (let’s call him Andy) brandishing a baseball bat and assaulting Ollie’s head. I started to yell for him to stop but it was too late, the final blow decapitated Ollie and I watched in horror as his head, both dented and split wide open, slowly rolled towards the street. Andy then grabbed Ollie’s base from which the arms were still streaming water and attempted to chase the other children around the yard. They squealed and fought back by grabbing Ollie’s flailing arms and attempted to redirect the water back at Andy only to have all but one of Ollie’s remaining arms break off during the struggle. Without arms, water just trickled out of the base at which time the boys lost interest and cast him to the ground and ran towards their backyard. Stunned, I stumbled into the house to tell Mike the horror that I had just witnessed. I never found another. A perfect example of an item I kept because of sentimental value that I’ll write about another day. 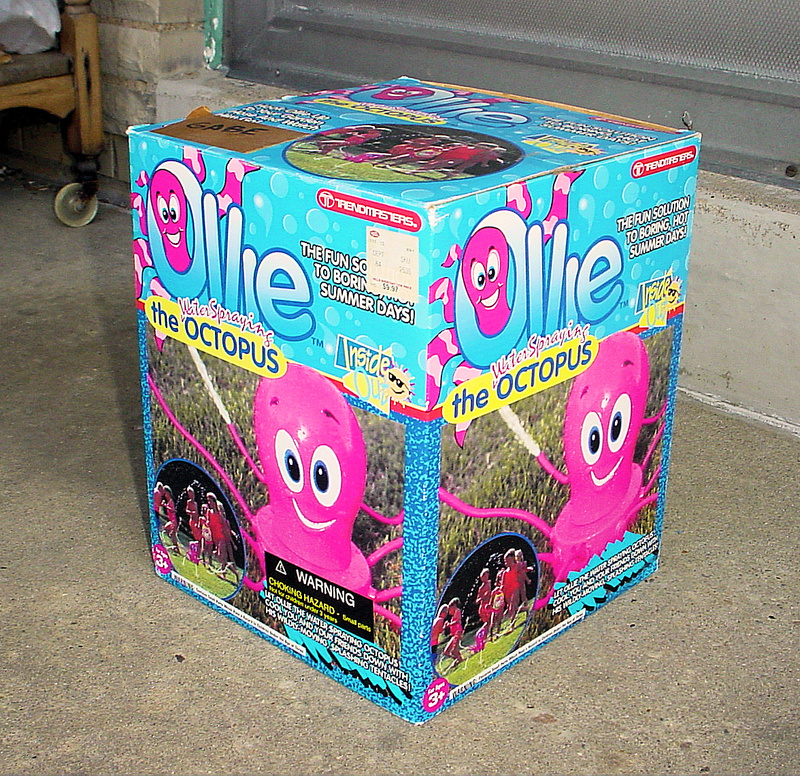 So what to do with Ollie’s box and all the others? They are perfect to use on trash day. Mike is quite happy filling them yard debris and other oddly shaped trash. He obviously has weeks of happiness to come.